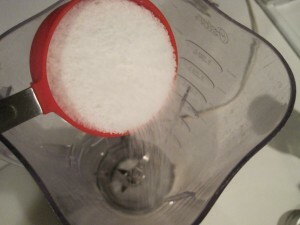 I love all those natural pampering bath products, like soaps, body scrubs, lotions, oils… They smell like heaven in the shower when I use them and they make my skin feel great, but they are all so expensive. 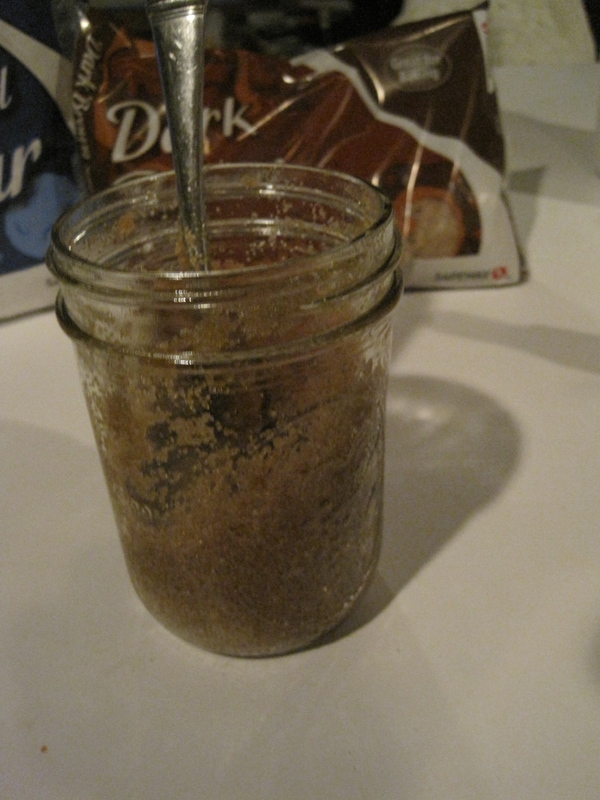 So I decided to see if I could create my own. 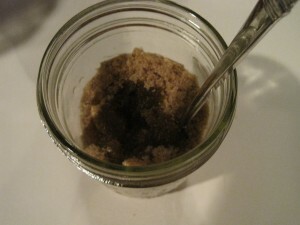 After a little experimental trial & error, I finally came up with two DIY exfoliating body scrubs that are similar to store bought products, but are from ingredients on hand in most kitchens. 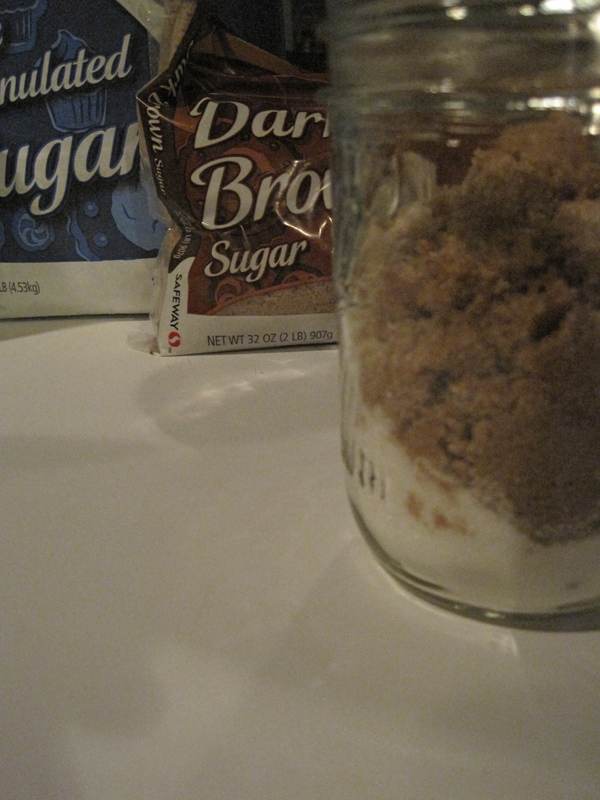 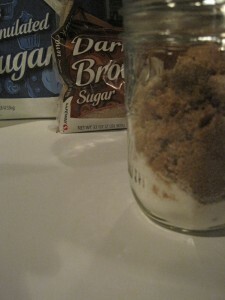 Step 1: Add the 2 sugars to a containter, mixing until well combined. 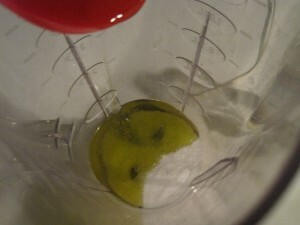 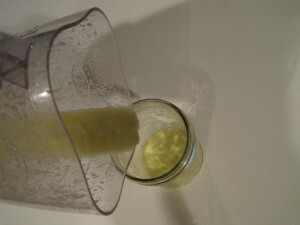 Step 2: Pour in most of the olive oil. 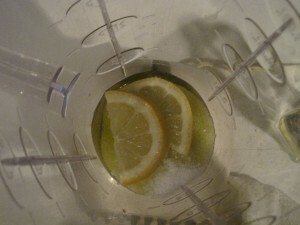 Let it bubble down to the bottom, then pour in a little more. 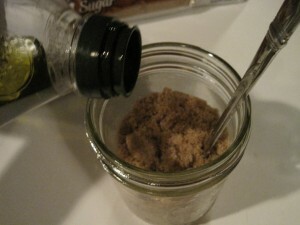 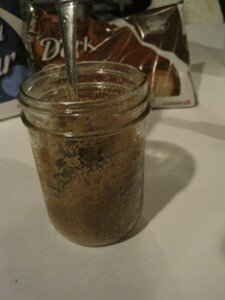 Mix with a spoon, if needed, until you have a nice sticky scrub. 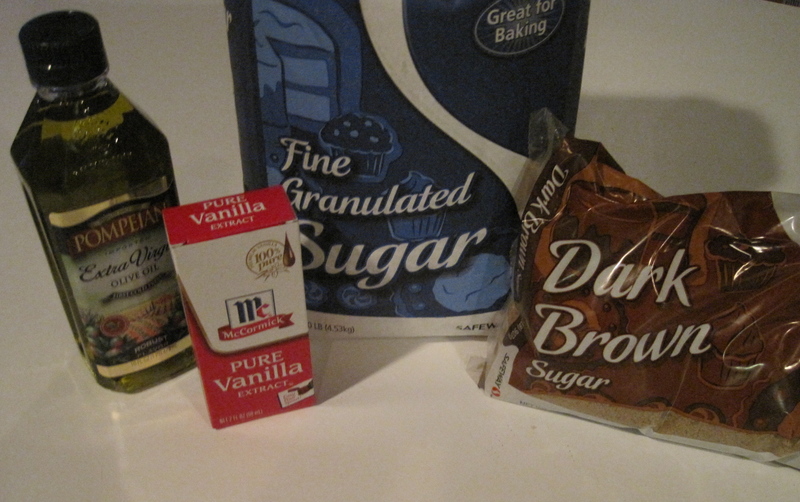 Step 3: Mix in vanilla. 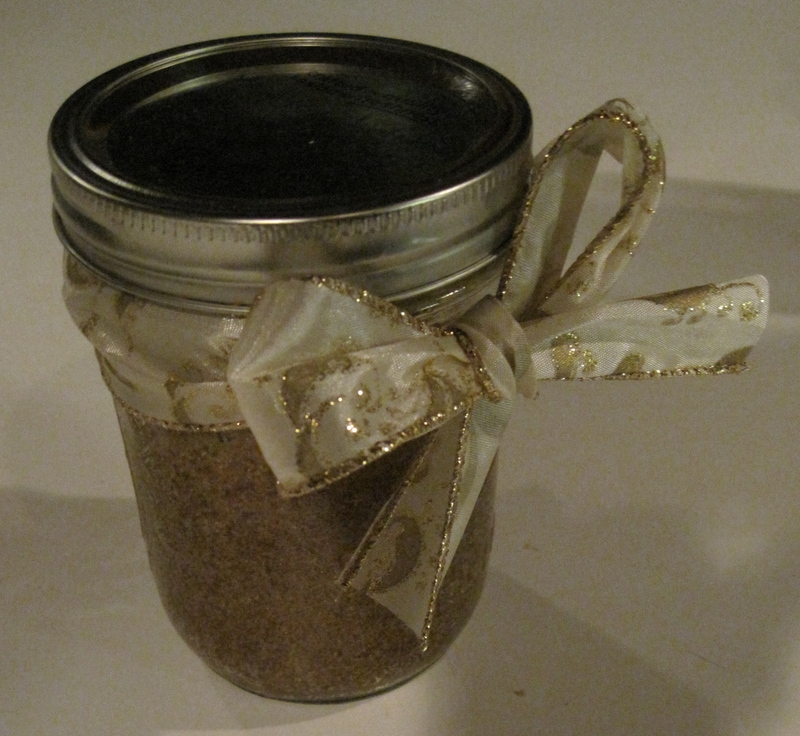 Step 4: Add a cute ribbon & this indulging exfoliating scrub makes the perfect gift. 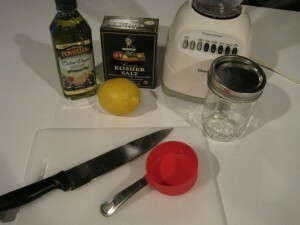 Step 1: Add olive oil & sea salt to blender. 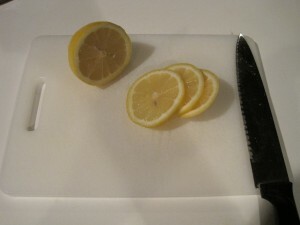 Step 2: Slice your fruit. Step 3: Add fruit with the peel to the blender & mix. 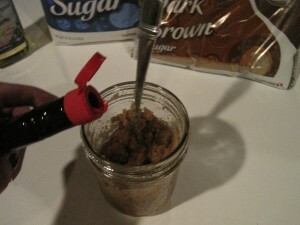 Step 4: Once completely mixed, so the fruit peel is itty bitty, transfer scrub mixture to a container. 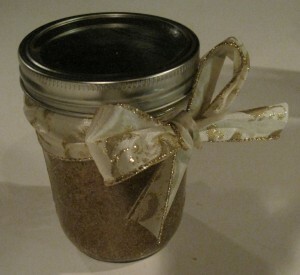 Step 5: Add a cute ribbon & this summery exfoliating scrub also makes the perfect gift. Great – and for once, simple – recipes – thanks! Couple fo changes/additions I made: for the sugar scrub, instead of vanilla/almond, I used Rose Geranium essential oil – I think it smells better and is good for your skin! 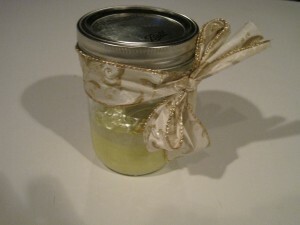 A few drops of peppermint or eucalyptus would make for an invigorating morning wake-up scrub. I also added a couple of drops of lemon and orange essential oils to the salt scrub to “amp up” the scent, and again, good for your skin.